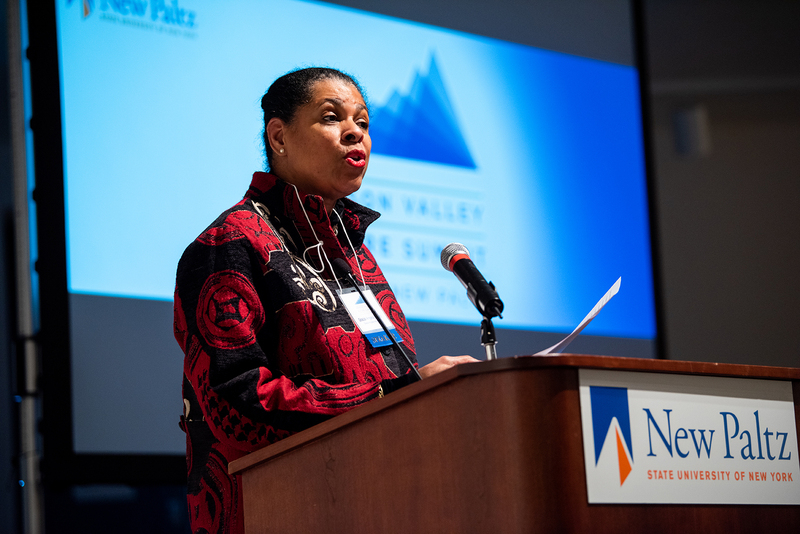 SUNY New Paltz welcomed a diverse gathering of regional leaders in the arts, technology, business and education for the third annual Hudson Valley Future Summit on Nov. 19. The Future Summit has grown to become an important demonstration of the College’s role as an intellectual, economic and cultural hub in the Hudson Valley, sparking conversation and new ideas for promoting sustainable growth and prosperity in the region. This year’s Summit was organized around a series of six “Fireside Chats,” each focused on a different theme (Creating, Making, Sustaining, Living, Playing and Working). The chats were structured to bring local executives, entrepreneurs and artists into dialogue with SUNY New Paltz students, faculty, staff and alumni, in hopes of creating opportunities for new collaborations, research partnerships, student internships and technological innovations to blossom in our region. The afternoon program pivoted to a lightning round of presentations on amazing new projects in the Hudson Valley. Owners, founders, CEOs and managers of businesses in sectors including wine and dining, solar energy, theatre, agriculture, museums and hospitality delivered short, TED-style talks on how their companies are creating jobs, serving consumers and exciting investors. 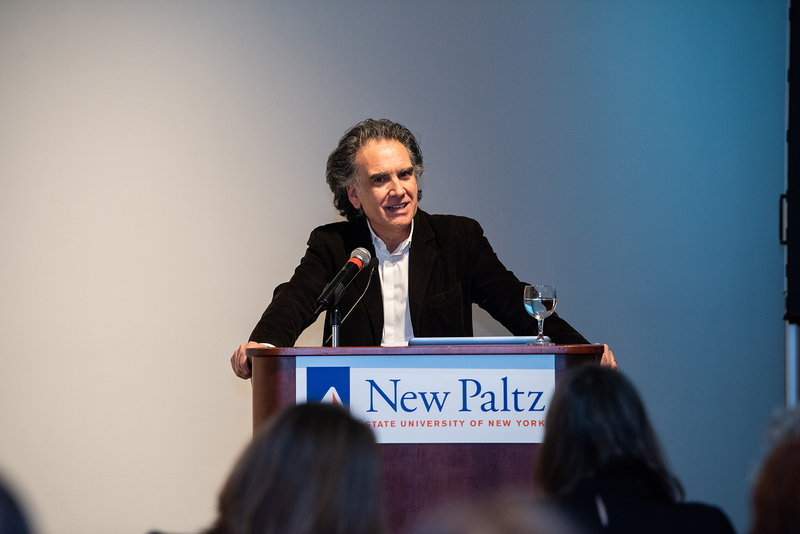 Setting the tone for these conversations was Peter Buffett, co-president of the NoVo Foundation, who called for Summit guests to recall their duty to work toward equitable outcomes for all members of their communities. “Many of us in this room are the beneficiaries of a system, and we have a responsibility to make decisions that make the world a better place for people who aren’t in this room, who are historically marginalized and too often have no voice in matters that directly affect their lives,” Buffett said. As the Future Summit drew to a close, guests reconvened at The Dorsky for further reflection and networking over locally sourced refreshments. 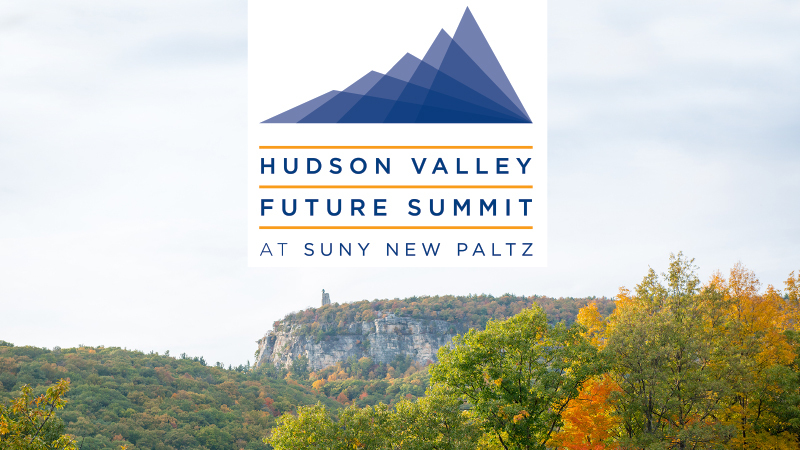 The 2018 Hudson Valley Future Summit was made possible by the SUNY New Paltz Foundation, with support from the following lead sponsors and in-kind donors: Advance Building Solutions, Bread Alone Bakery, Affinity Federal Credit Union, Corporate Building Services, the Woodstock Chimes Fund, Tourism offices for Ulster, Orange, and Dutchess Counties, Thornwillow Press and (New Paltz alumnus) Kevin Zraly’s Wine School.